The Independent National Electoral Commission (INEC) has decided that henceforth, the presidential and National Assembly elections will hold on the third Saturday of February of each election year while those of governors and state assembly members will hold two weeks after. Whenever the end of tenure of the FCT area councils coincides with the general election, the FCT council polls will be combined with the governorship and state assembly elections. The commission fixed Saturday 16th February 2019 as the date for presidential and National Assembly elections. The governorship and state assembly elections will hold on Saturday 2nd March 2019. At a press briefing in Abuja yesterday, chairman of the commission, Prof. Mahmud Yakubu said: “Since the end of tenure of FCT chairmen and councilors will end in 2019, the area council elections will also hold on Saturday 2nd March 2019. 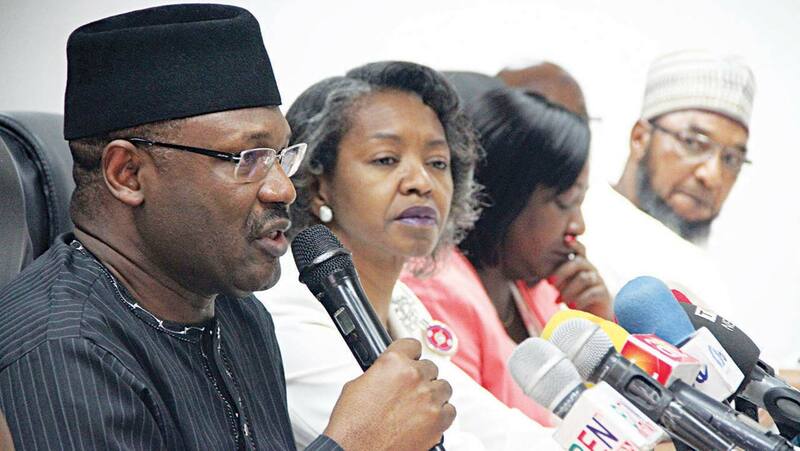 The INEC boss said the dates were fixed to engender certainty in the electoral calendar and enable all stakeholders prepare adequately for elections, as is the case in many mature and developing democracies. Yakubu said the commission had concluded its strategic plan of action for the current electoral cycle and beyond, covering 2017 to 2021. He said INEC was moving away from the culture of quick fix and fire brigade approach to the management of elections in the country. He said in 2019, the commission would conduct elections for 1,558 constituencies made up of one presidential constituency, 29 governorship constituencies out of 36 (seven are staggered and conducted off-cycle), 109 senatorial districts, 360 federal constituencies, 991 state assembly constituencies, 6 area council chairmanship and 62 councilorship positions for the FCT. The presidential and National Assembly elections will come first, followed by the governorship, state assembly and FCT area council elections. On 9th of March 2017, INEC announced the dates for the 2019 general elections.